One of the Tallest* Menorahs in the World! 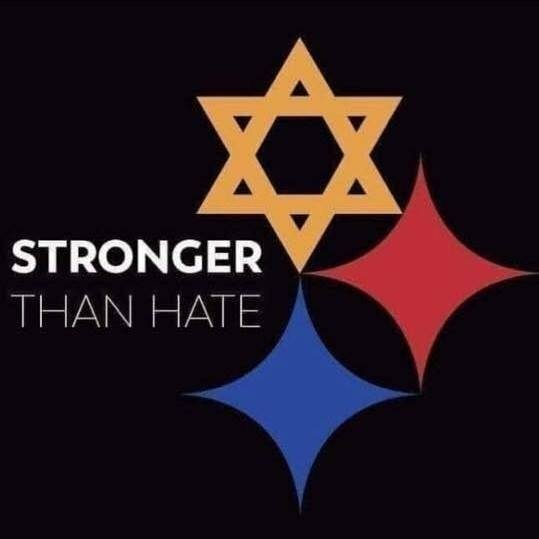 Led by the Pittsburgh Police Dept Team of First-Responders to the Pittsburgh Temple Shooting! Join us as we pay tribute to the lives that were lost and honor the brave officers who risked their lives to save others. Together with Government Officials and Dignitaries. Dance to lively Chanukah music and enjoy hot drinks & Chanukah Donuts! Followed by a Car Menorah Parade! Leaving immediately after the menorah lighting at Chabad! NEW for this year: Parade ends at the Highlands Fire Station on Harbor Hill Rd with a MEGA GELT DROP!! Check out the parade route (coming soon) and meet us along the way or at the fire station! 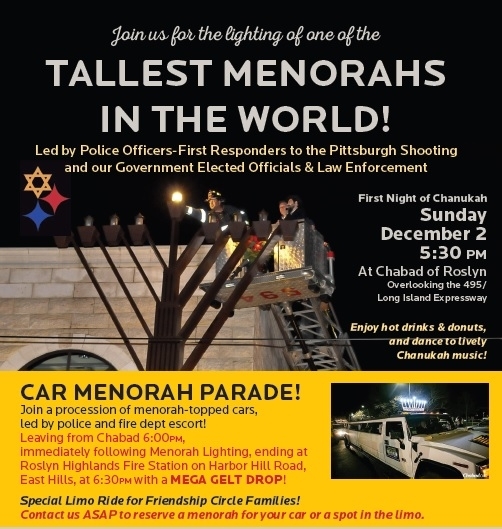 Contact Rabbi Yaakov Wilansky ASAP if you would like a menorah for your car or for more details about the parade: ywilansky@chabadroslyn.com or 516-387-2224. 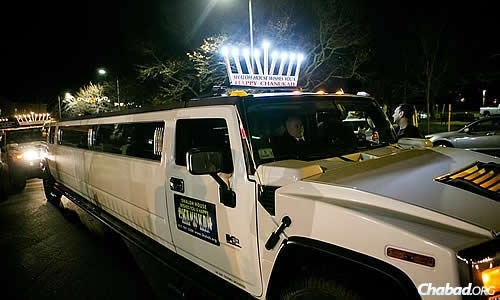 *according to Halacha (Jewish Law) a Menorah may not exceed visibility = 20 Amos/approx 30 feet. Click here for the "Mega Chanukah Bash" on Sunday Dec 2, 2:30-5:00!